Rajasthan is globally acclaimed for its historical forts monuments and luxury palaces that narrate the fascinating story about its kings and kingdom. Most of the majestic fort and palaces have been converted into luxury heritage hotels and resorts. These palace hotels offer to see and experience the grandeur of Rajasthan’s regalia to its visitors from different parts of the world. So as to promote the nuances and renovations in various heritage properties in the recent past, a group of 8 prominent tour operators of Rajasthan went on a FAM Tour to a large number of heritage properties in the State. It is expected that this will enable the tour operators to market these properties more effectively to the tourists and visitors, as informed by the Senior Vice President, Rajasthan Association of Tour Operators (RATO), Mohan Singh Mertiya. The visit of the tour operators has been organized by RATO along with the Indian Heritage Hotels Association (IHHA). The group will visit Shekhawati (Nawalgarh; Alsisar, Mandawa) Bikaner; Jodhpur, Rohet, Pokaran and then reach Jaisalmer on September02, 2017 for the IHHA Annual Convention. At the IHHA Convention the tour operators will have B2B meetings with heritage property owners. Beginning their tour from Jaipur on August30, 2017, the tour operators have already visited the heritage properties of Pink City. On the way back they will also visit Khejarala; Nimaj and Pushkar finally to return Jaipur. The group of tour operators at Hotel Hari Mahal before their departure for FAM tour. According to the IHHA officials, enough attention and time was not given by tour operators to heritage hotel owners at events like Great Indian Travel Bazaar and other such travel forums since they have to compete with larger hotels and prestigious chains. This visit will be entirely focused on the heritage hotels and has been organized for the first time. The tour operators visiting the heritage properties are : Kuldeep Singh Chandela; Mohan Singh Mertiya; Mahender Singh; Amit Bomb; Sukhdev Singh; Inder Vijai Singh; Nitin Mathur and Aditya Agrawal. It is to be recalled that 6th Annual Convention of the Indian Heritage Hotels Association (IHHA) will be inaugurated at Suryagarh in Jaisalmer on September02, 2017. The theme of the Convention this year will be ‘Harnessing Heritage to Tourism Advantage’. 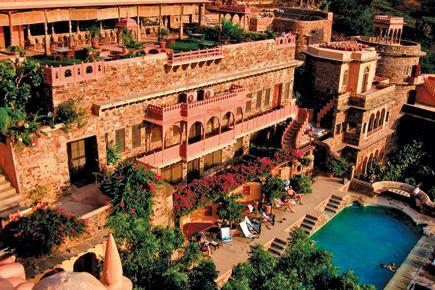 Originally a house to the royalties, are now one of the best heritage hotels of Rajasthan. Everyone has a fantasy to spend a day in the splendor and grandeur of these hotels and experience that royal treatment of a chauffeur opening the door of your car and keeping it safe, a person well dressed in a turban serve you, a royal and extravagant 3 course meal always at a click and so on. Staying in one of these magnificent palace hotels indeed gives you the highlight to a wonderful trip and experience the real ethnic culture and traditional heritage of that place. Ajit Bhawan is situated in the heart of Jodhpur, which allows easy accessibility to this ‘blue city’. The ancestral property of the Jodhpur royal family, now turned into a royal heritage hotel which shares its perfect legacy by providing personalized hospitality and ensuring all the facilities that make you a royal guest. Along with the royal treatment, it also provides with various recreational facilities like open swimming pool, gym and a spa which gives Ayurvedic treatments and therapies to relax in this royal stay. 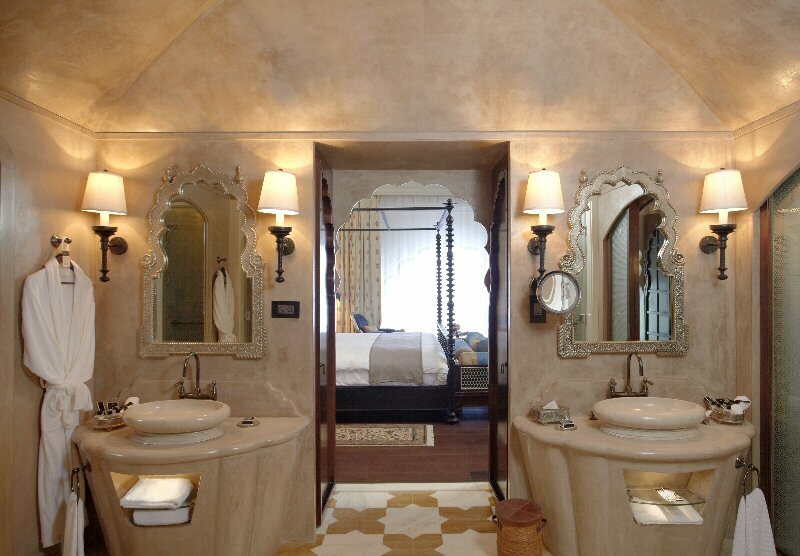 The perfect ambiance gives the old world its modern comforts and reminds the guests of the old world charm. What make this place great are some details and some little surprises supplemented with that rustic look. An 18th century 7 storey palace in Delwara is a luxurious and sophisticated retreat which has come up with all the local and traditional works and materials. Reopened after years of restoration, Lebua- a hotel chain, has given Devigarh a splendid look with the confluence between the old and the new not forgetting the specialties of the bygone era. Devigarh has received various awards and is considered one of the best designed hotels in the world and on the subcontinent. It is situated in one of the oldest existing cities of India – Pushkar. Laying in the periphery of the temple of Lord Brahma- the creator of the world, one definitely experiences tranquility and serenity around them at The Ananta Spa and Resort. The calm ambience of this 62 luxuriant guestroom is sure to rejuvenate your mind, body and soul and replenish all your senses. Surrounded with the oldest mountain range-Aravallis, is located in the quiet suburbs, away from the hustle bustle of the city life. 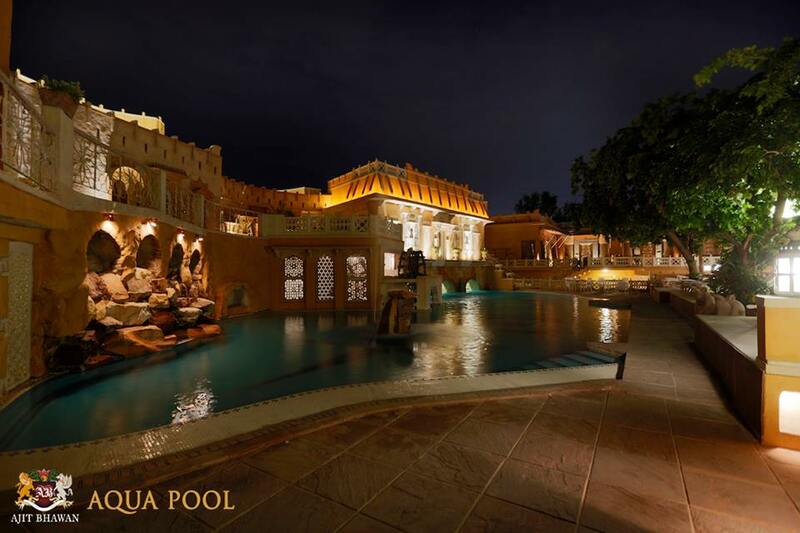 This luxury hotel is a blend of Rajasthani and Mughal architectures, reflected through the traditional décor with modern facilities of swimming pool, spa, convention hall, etc. Situated in the city of lakes with the backdrop of the Aravallis lies, today’s one of the largest and finest hotels in India. Lake Pichola adorns this majestic hotel which gives a spectacular and magnificent look to this ‘city of lakes’. Having some specific characteristics of grand courtyards, flourishing green gardens, mirrored and decorative domes and large pavilions makes it a perfect romantic place. A place where people usually decide to go just hip-hopping from one place to another is this Neemrana Fort; a 15th century heritage resort which is inbuilt with beauty and treasures of history. 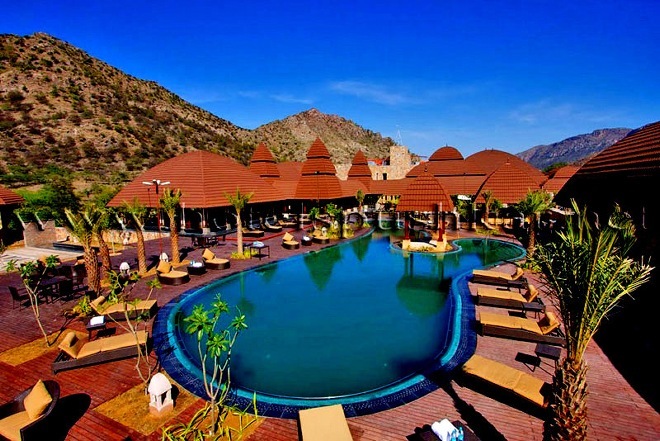 It is a unique resort located near the capital- Delhi. The moment you enter, I’m sure you’ll remain awestruck by the huge foyer, thick wooden doors, antique walls (which have that old paintings and are not in any effort to rebuild or get renovated) and the royal jhulas’. This grand resort along with well equipped accommodation offers a calm ambience and some great adventure sports like zip lining. It has some well equipped facilities of an open air theatre, spa, open swimming pool and the journey still remains as unfinished after visiting here.